An ideal SOLUTION which allows leads with VGA connectors, etc to be inserted into wall boxes with a minimum of fuss. Cut - outs the top give a choice of exit points. 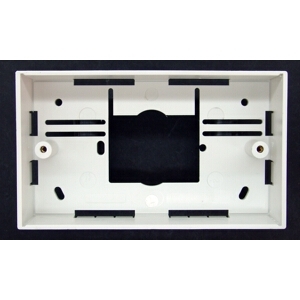 Boxes manufactured in a flexible ABS compound which is easy to cut but robust enough to allow a rigid mounting for our AV plates.